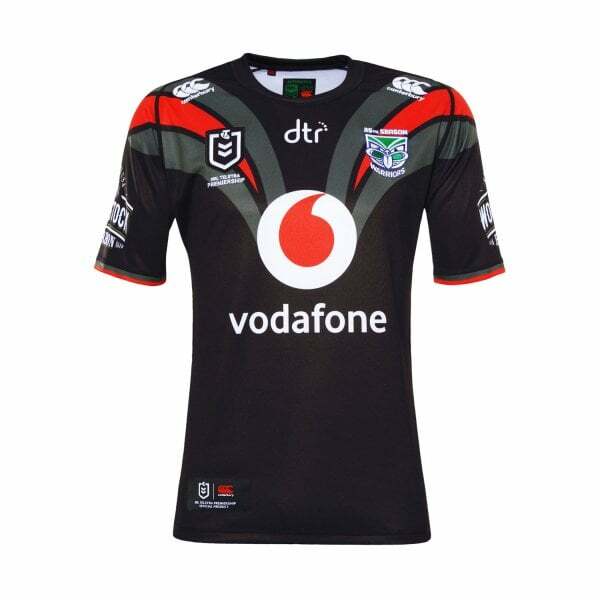 Show where your loyalty lies in Canterbury’s Vodafone Warriors On Field Away Jersey. This is a must-have wardrobe item for passionate fans, as it celebrates the Vodafone Warriors’ 25 years in the NRL. Made from 100% Polyester with a moisture-wicking VapoDri finish, this jersey is ready for training, playing or just looking great in and it’s finished with team and sponsor logos and a commemorative logo celebrating the team’s 25th anniversary. With a black base and distinctive new 2019 jersey silhouette with cross over low profile neck, it’s one for the collection and available now in Canterbury’s 2019 Vodafone Warriors On Field range.